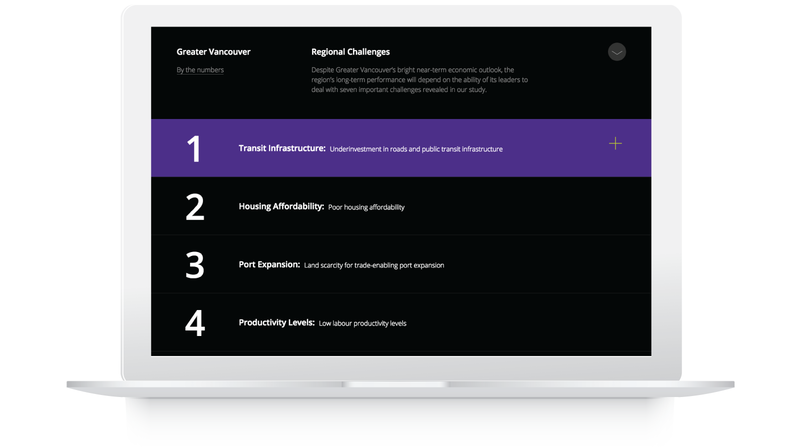 The Greater Vancouver Board of Trade released a new Economic Scorecard, showing where the Greater Vancouver region ranks on key economic and social indicators in relation to 19 other international metropolitan regions. 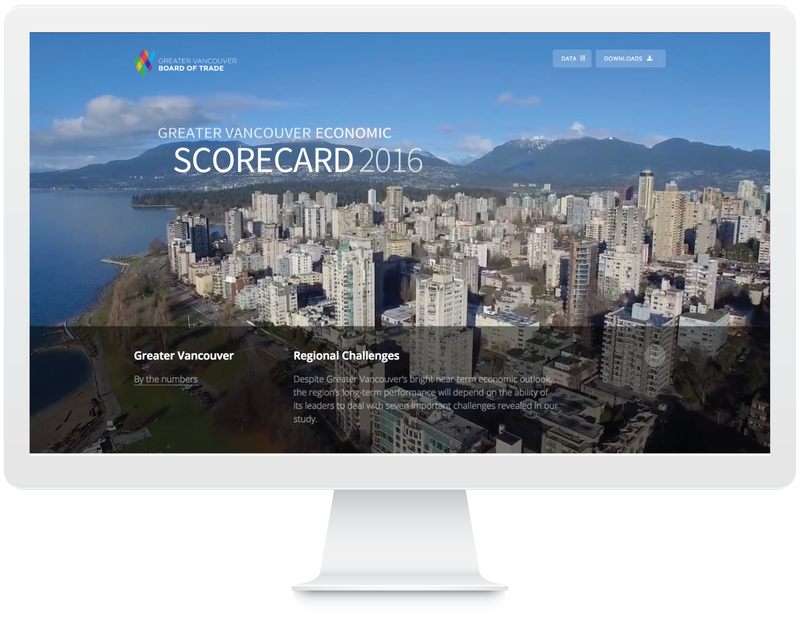 The Scorecard measures Vancouver’s strengths and weaknesses in attracting labour and business investment. We helped visualize the key data and developed a companion landing page to help share the report with a special focus on the regional challenges.